Ok, ok, so winter is almost here. But this is exactly the time that we want to start looking into the best 2017-2018 Nordic ski gear for this coming season. We’ve done some research and found some ski equipment to keep your eye out for. Salomon S-Race Skin Ski is a new racing skin-ski that Salomon will be introducing this year. It is modeled after the S-Lab series and is lightweight. It will have a Zeolite base like other models but will have an upgraded skin section. This high-end ski has an upgraded braiding system which allows for a great glide and consistent kick and an AT climbing-skin technology is integrated within the kick zone. Rossignol will also be introducing a skin racing ski this year, called the R-skin Race Ski. It comes out of Rossignol X-IUM Premium Skate Ski line, which offers good grip and consistent kick in most snow conditions. 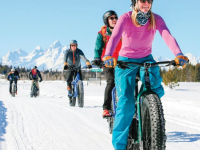 This ski will be a great all-around ski, allowing you to take it with you in various climates and conditions. 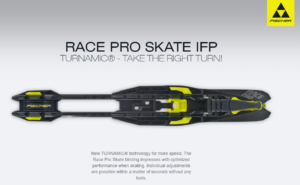 Fischer just introduced a Carbonlite Twin Skin Ski as part of it’s racing line. Combining 100% mohair Twin Skin strips with it’s lightest ski, the Carbonlite proves to create a truly great racing ski. 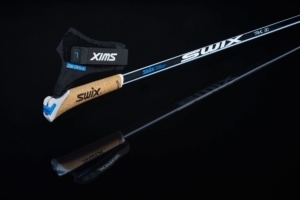 Swix Triac 3.0 Poles are also new this year and important to take a look at due to their stiffness, durability, and weight. Did we mention that they are 13% lighter than their predecessors? This is because they reduced the weight of paint (a new design for the shaft), included a lighter strap material, and now have an aluminum spike on the baskets. 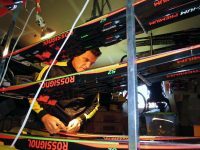 For bindings, Fischer and Rossignol worked together to create a new binding system that is compatible with both of their boots. Called the Turnamic Binding, this new device is focused on a turn-lock system that allows for easy departure from the system. Both companies are creating an entire line of boots and bindings using this system for racers, juniors, and recreational skiers. 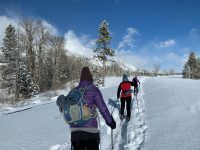 If you are looking for more information about the newest and greatest 2017-2018 Nordic ski gear, visit our friends at Skinny Skis. Their informed and experienced staff will help you with everything you need to know! 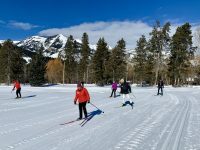 JH Nordic Alliance’s 2nd Annual Free Ski, Fat Bike, & Snowshoe Day at Turpin Meadow – Sunday January 7th, 10am-3pm – Open for all!